Many thanks to the Tigers Challenge, we’ve had a blast. Brilliant tour and well organised event. Join over 250 teams and take part in the ultimate youth rugby tour for any club. 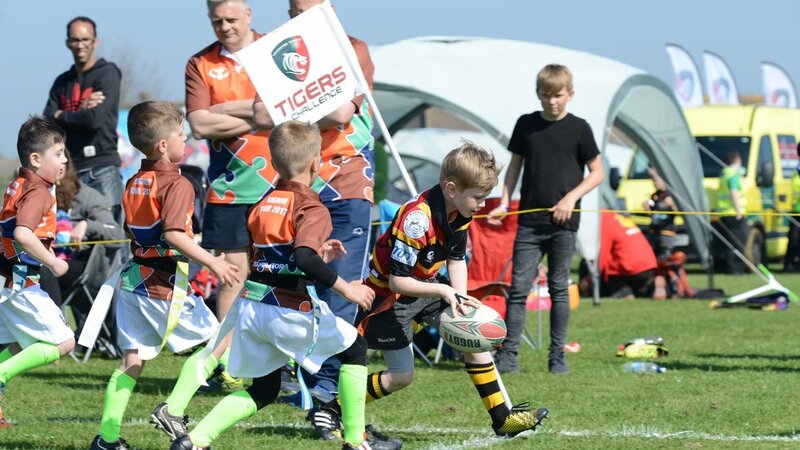 Tigers Challenge is the biggest youth rugby festival of its kind in the UK. Open to U7-U15 boys teams and U13 and U15 girl’s teams, the weekend festivals take place at Butlin’s award-winning resorts in Minehead, Somerset and Bognor Regis, West Sussex. Attracting teams from England, Scotland, Ireland, Wales and even from across the channel, the festivals offer a great opportunity for clubs to take part in an action packed, fun filled end of season tour. You can call ESF Events on 0166 456 6360 or email [email protected] to reserve your team place.